Look good and do something good: with buying this bracelet, you will support the charity organization named "STRONG against CANCER" from the German society "Wattikan". With every sold bracelet, the net profit goes to the society. The proceeds will among others fund the cancer information centers in the "Westküstenkliniken" and the information days about cancer in Brunsbüttel. 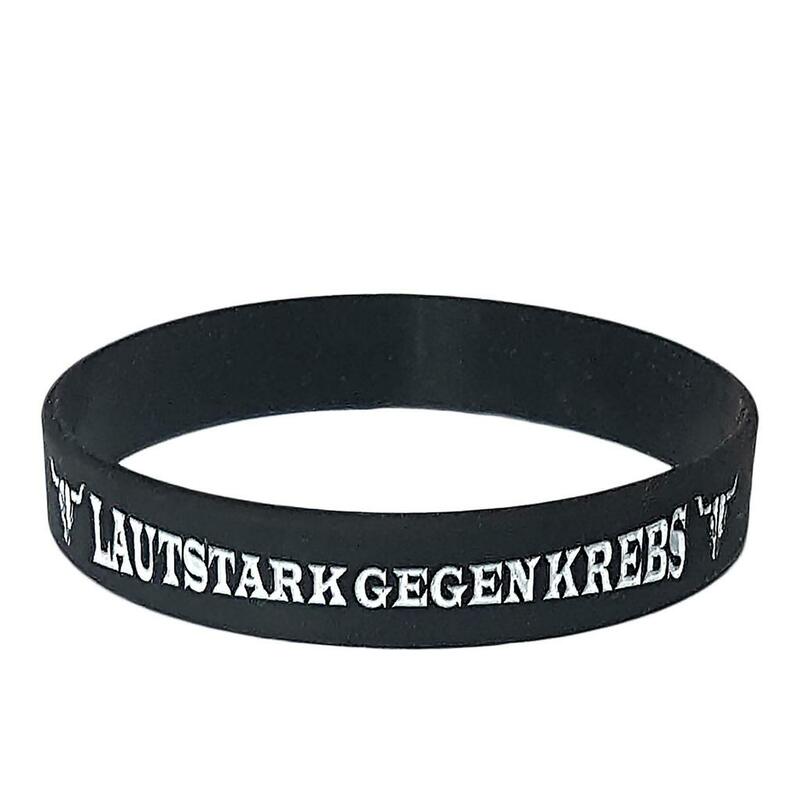 The black silicone bracelet is imprinted with the german slogan "Lautstark gegen Krebs", which is flanked on both sides by the famous W:O:A bullhead.